and ground us into the present followed by a guided meditation to assist the flow of creativity. Each person will feel, see and experience different visions or sensations that will eventually be expressed in their unique final artworks. There will be a different theme to focus on every week so come join us for some artistic fun! To end the session, participants will share and discuss their artworks and insights over refreshments. experience how meditation can be combined with art and vice-versa; no experience required! to enliven or unlock your creative potential! 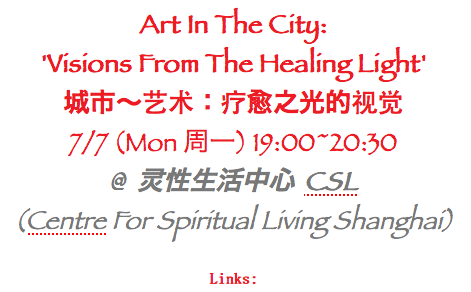 Class will be in English mainly with Chinese translation.